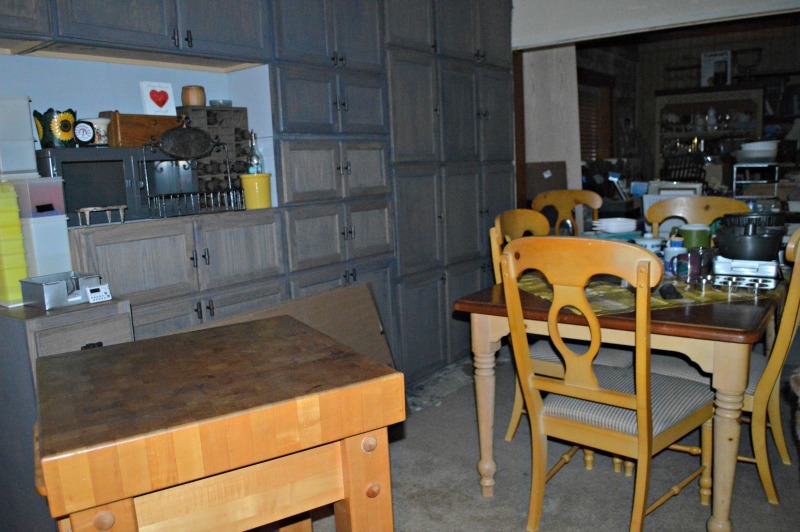 Savory Kitchen Table: DAY 80, but we didn't fly around the world! DAY 80, but we didn't fly around the world! It's amazing how things work. I've always lived by the adage, "Man plans, God laughs, WE adjust" which is so very true for the situation we are now in. 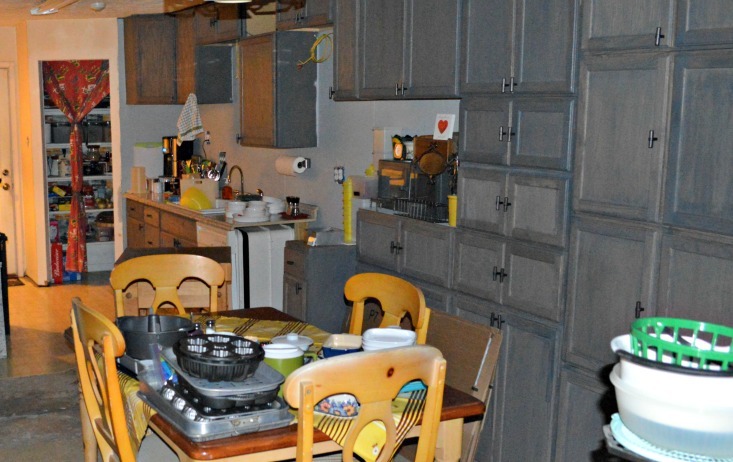 As you know we have been rehabbing my grandparent's house. We came here on a Leap of Faith believing it was mainly sweat labor that was needed. Unfortunately that was a pipe dream and for 80 days now we have literally been rebuilding from the inside out with more sweat than we knew we had and lots and lots of pennies . The foundation work that needed to be done brought on plumbing repairs. 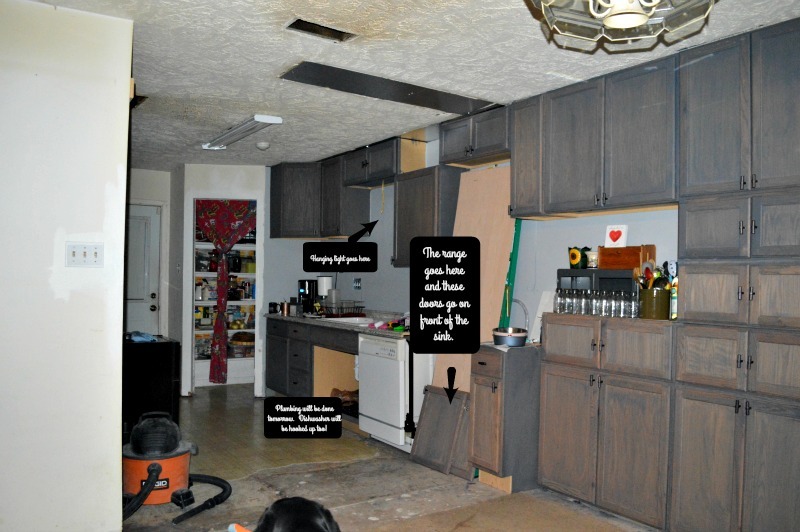 While the foundation contractors that my uncle hired were horrible, the plumbing contractors are far worse. They have been working here for 27 days and are no where done. They are at least done on the inside and the remaining work is on the outside closing the tunnels. Unfortunately the foundation people then have to come back out and re-level a portion where the plumbers removed the piers. I swear they are complete idiots. They stood there with the piers lying all about their feet and lied to our faces saying they didn't remove them. Fortunately for us I take lots of pictures and had the pictures to prove otherwise. ALL of this has slowed the inside progress. 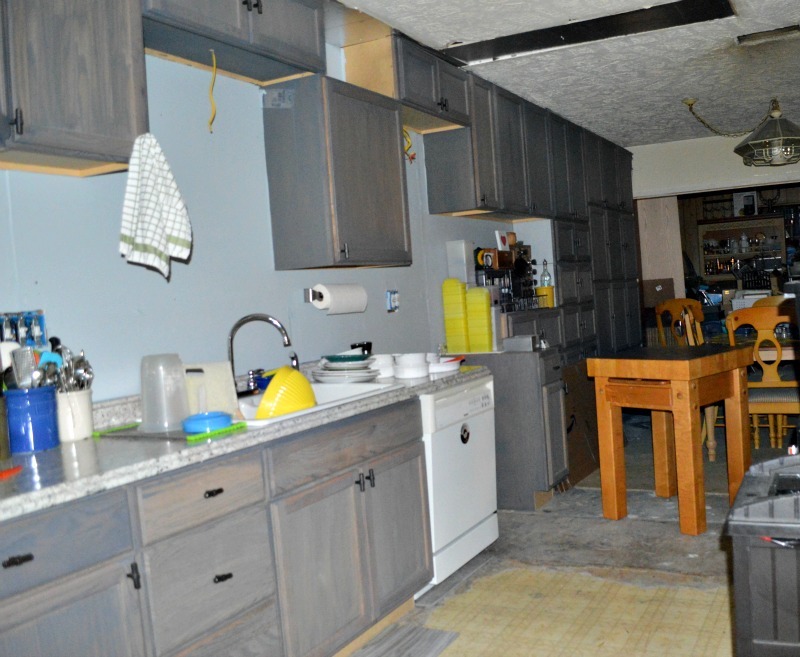 The kitchen is by far the biggest project as the appliances were all trashed and the cabinets were literally falling off the hinges. I'm still working on the stain to get them all even, but they are coming along nicely. The new range will be here on Monday and the "working" side of the kitchen will be great! 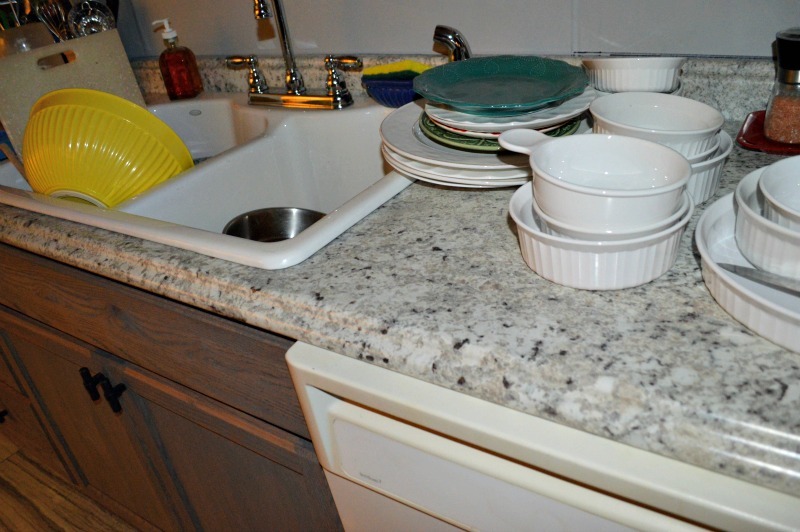 Having a counter full of dirty dishes has been a long time coming but I now have running water, a sink and working dishwasher! I think I'll miss doing the dishes in the bathtub said no woman ever! The floors will be what we do last since we still need to do the"left" side of the kitchen. The hot water heater has scorched the ceiling and the original piping for the discharge, washer and dryer are a mess. So our next project along with the master bath is the laundry area. I'm anxious to get the new floor down, but will wait until all that mess of removing drywall and such is over. I'm hoping to get the back splash areas done this next week. I've been mineral oiling my butcher block to restore it. 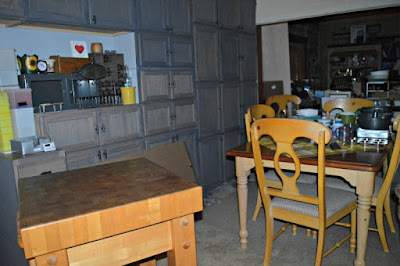 Eventually I will refinish the table top to match the cabinets, paint the legs and chairs a distressed white and recover the chairs in a coordinating fabric. The light for over the sink should be here tomorrow and we are still deciding on the vent hood for the range which will be here Monday. It is just nice to be able to sit at the table to eat again! I had been just stuffing things behind doors as I unpacked. Today I use the table to empty out several cabinets while I lined the shelves and started running load after load through the dishwasher to begin organizing cabinets. I was in heaven. Glasses, silverware, utensils and dishes. What more could I ask for?